Certified Production Technician (CPT) is an industry-led standards-based training, assessment and certification system focused on the core skills and knowledge needed by the advanced manufacturing workforce. Foundational areas of certification include: safety, quality, manufacturing processes and maintenance awareness. What can becoming a Certified Production Technician do for your career? What do I need to do to get signed up today? Baseline Session. 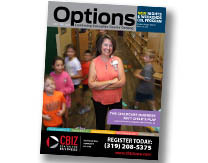 Contact Debbie Spears at CBIZ dspears@scciowa.edu or call 319-313-1918 to get signed up for a baseline session. Training. Based on pre-assessment scores (taken during the baseline session) students will either sign-up for the fast-track or the instructor-led path of course work. Certification. Take & pass certification exams!